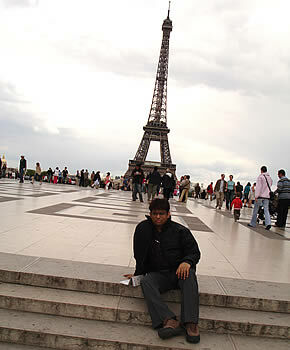 Date: Paris, 16th June, 2008. After some time, I write this to you from Paris, the City of Lights, where I have been able to successfully sign a Partnership Agreement with a very exclusive Certification Brand that would be now available to you in India. DQS Certification India Private Limited brings to you the world’s 5th Largest Certification Organization through its partnership with AFAQ-EAQA, AFNOR Groupe of France. DQS Certification India is a strategic partner in this relationship and both AFNOR Groupe’s Top Management and DQS Certification India see a lot of potential in this partnership. Positioned internationally as 5th Largest Certification Organization of the world, AFNOR Groupe is an integrated service provider for Management Systems Certification, Product Certification and Inspection, and many specialized and niche services, including Certification of Competencies of Personnel. AFNOR Groupe has a network of about 1,400 experts (auditors, members of certification committees, collaborators) ready to assist you and has more than 1,300 auditors, qualified according to sector, profession and reference standard, to match your assessment needs. AFNOR Groupe has 30 international subsidiaries with 30 offices world-wide to provide you with follow-up wherever you are. AFNOR Groupe, provides certification, inspection and auditing services in all key markets for over 30 industrial sectors and now feels privileged in bringing its highly unique services to Indian market and Indian Customers through DQS Certification India Private Limited. In this partnership framework, the terms and conditions of engagements with our esteemed customers will remain the same and would be sustained with additional enthusiasm. The DQS Certification India Organization remains the same with the same roles and responsibilities of all its personnel. I would like to say a special word of thanks to Mr.Alister Dalrymple, Business Developmennt and Partnership Director, Corporate International Affairs, AFNORE Groupe and Mr.Ludovic Martin, International Networks Manager, AFNOR Groupe, who were highly instrumental in formulating this Partnership. I had the opportunity to meet Ms. Myriam Augereau-Landais, Director, AFNOR International Network and Managing Director, AFAQ-EAQA world-wide, who unequivocally expressed her commitment to Indian Customer i.e. to you and your organization. Let me take this opportunity to thank Ms. Florence Nicolas, Directrice Generale AFNOR International, CEO AFNOR International for her support and patronage to this Partnership for Indian Market. I will express my heartfelt thanks to Mr.Olivier Peyrat, Director General of AFNOR Groupe who expressed tremendous optimism for Indian Market because of the truly synergistic relationship of this Partnership.